During April and May 2017, we’ll be rolling out our exciting new Aged Care Services ad campaign. This tongue in cheek series uses humour and the power of family connection to highlight the role that AnglicareSA plays in the lives of older people. 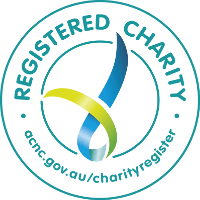 Our Partners For Life campaign is designed to raise awareness of our comprehensive aged care services, which include Allied Health Services, Home Care Services, Residential Aged Care, Respite Care, Palliative Care and Memory Support Units. Our Partners for Life campaign is being delivered across a range of media including TV, print and online and already we have experienced a strong response. To find out more about how we’re working to support older South Australians call 1800 317 009, email us at [email protected] or get in touch online.